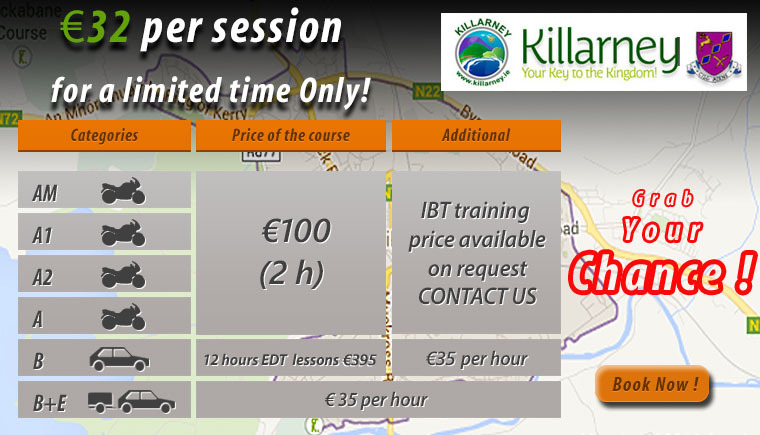 Contact us to pass your driving test in Killarney. Contact us, by phone, email or even connect with us through our social media networks. 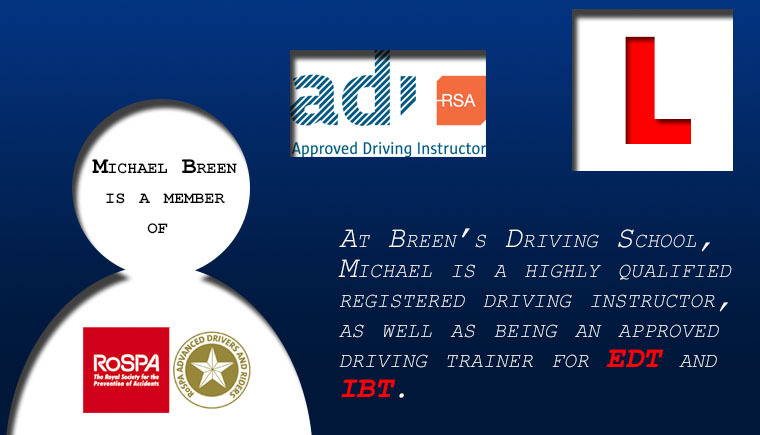 Breen’s Driving School serves Killarney and all the surrounding areas. 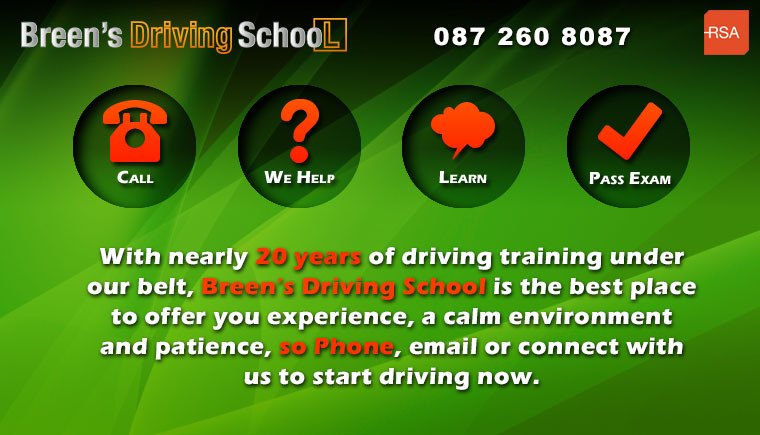 The driving school has been established since 1995 and has a known reputation of having a high success pass rate. 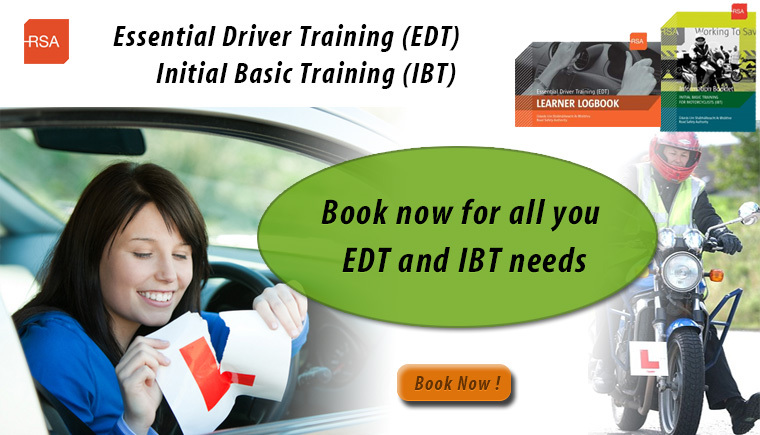 We specialize in IBT and EDT driving training but we are qualified driving instructors for all categories. 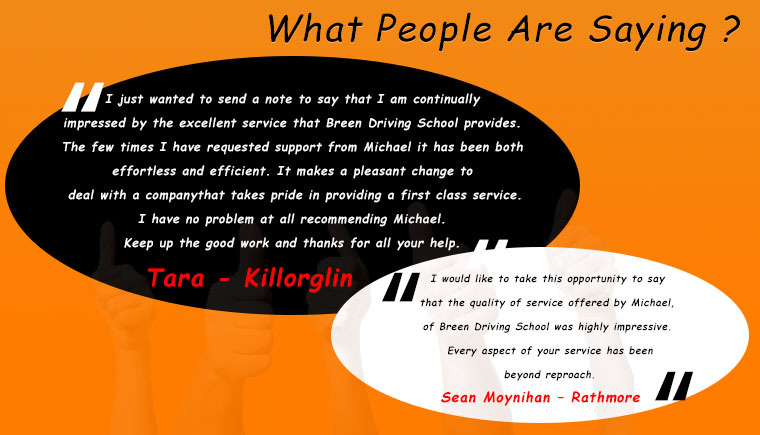 If you would like us to go through the different driving lessons we offer, than please contact us and we will be happy to discuss these options with you.